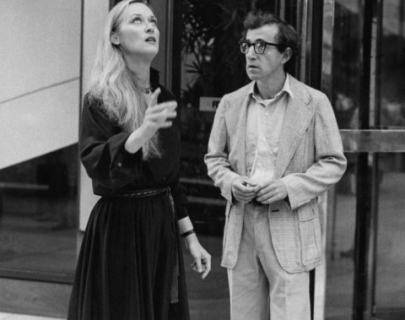 Considered Woody Allen’s funniest film, Manhattan features stunning cinematography by Gordon Willis. Twice-divorced, disillusioned 42-year-old writer Issac (Allen) battles with the empty decadence of New York and the people around him. His life dominated by women; 17-year-old high-schooler girlfriend, Tracy (Hemingway), his best friend’s neurotic mistress with whom he has an affair, Mary (Keaton), and lesbian ex-wife, Jill (Streep), who is writing a book on their failed marriage.